We come to the last Friday of this journey across the desert and I hope this penitential period helped you deepen your relationship with God and grow in your discipleship. Now we begin our journey to Jerusalem, to experience and celebrate the three most sacred moments that marked the history of humankind, the Last Supper of Jesus with his disciples, his Death on the cross and his Resurrection on the third day. These three sacred days, which we call Paschal Triduum, cannot be understood as a simple memorial of what occurred more than 2000 years ago. The Church invites us to live out each moment of Jesus’ suffering, agony and victory as a real encounter with him. The Church leads us to become part of each scene because they happened for us, for our redemption, you and I are the main reason. Thus, I dare to say that these holy events do not belong to the past any longer, they do not even belong to history, they belong to the church, they belong to us, they are a gift for us. We receive the sacrament of the Eucharist every single day, we carry the cross of Jesus in our daily challenges and sufferings and we await, with hope and expectation, for our resurrection after we pass from this earthly life. Therefore, take this opportunity to deepen and strengthen your faith and with great devotion and joy come to celebrate these remarkable moments of holiness and salvation. Have a joyful and blessed Easter! Friday, April 12: Assumption's Adult Enrichment invites all adults to join us for our Lent version of MAPS we're calling Gone Fishin'. On the second Friday of April, we'll meet up at the Fish Fry at St. John of Rochester at 5:30 pm (note new time). 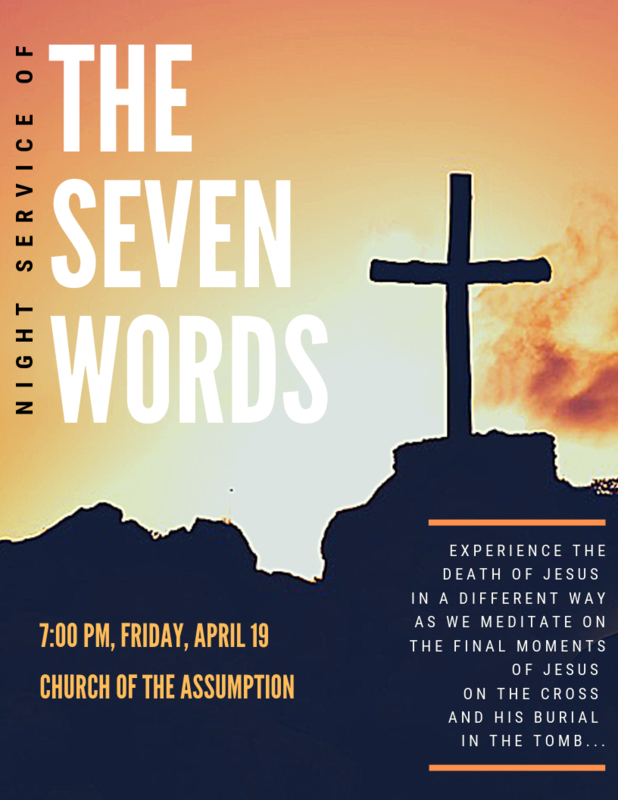 After dinner together, we will head to Assumption for the special version of Stations of the Cross at 7:00 pm, followed by fellowship & fun in the Youth Room downstairs. 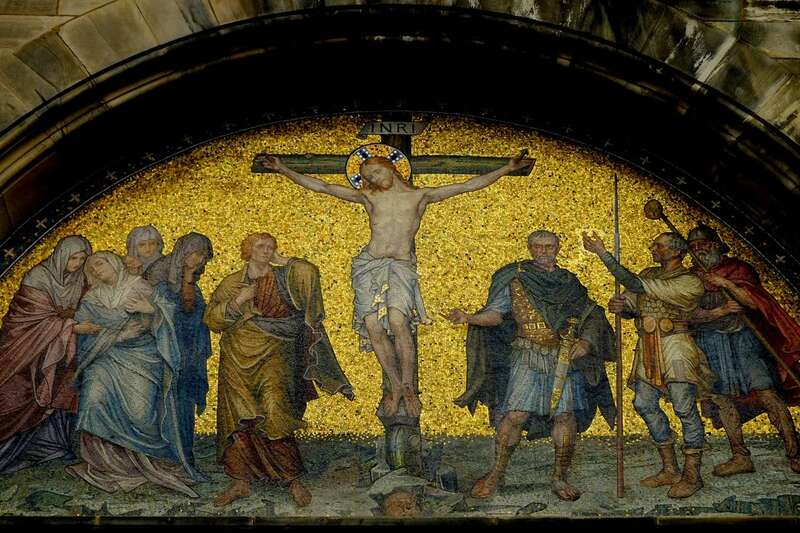 the passion and death of Jesus? not stay with Jesus in his suffering. your own forgiveness and mercy for me. how to "celebrate" this week. so aware of his love. Call 1-800-RED-CROSS or visit their website to set up your appointment in advance. Walk-ins always welcomed. Learn more & sign up on our webpage. with a special edition of Holy Hops, May 7. Watch for details in the Resurrection bulletin & website. Assumption's Adult Faith Enrichment Team invites all men over 18 to join us on May 18 for an evening of fellowship. See flyer for details. 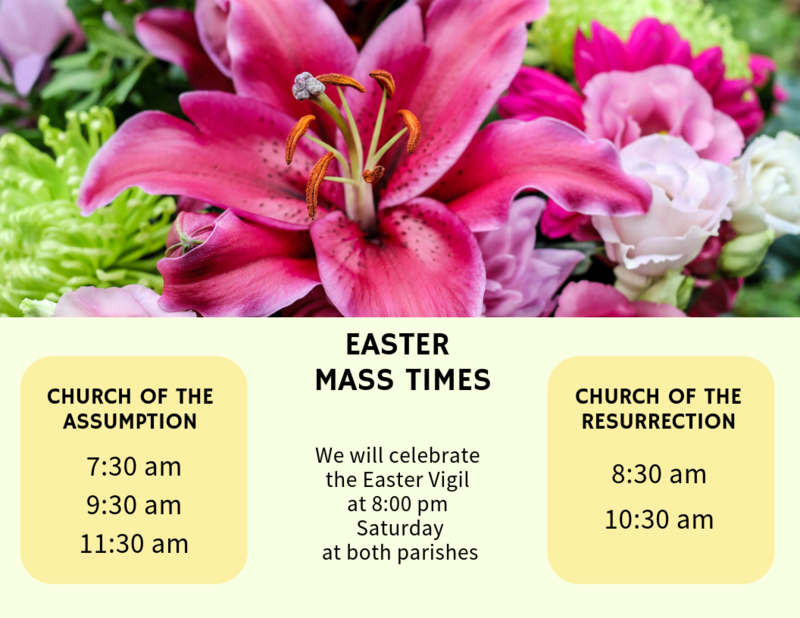 Please take note of the special Mass times for Easter Sunday. Contact maura.walsh@dor.org for questions about Flocknote. Use the links in the 'footer below to update your contact information or to unsubscribe from this newsletter.